With just two feature films to date (In Bruges and Seven Psychopaths), Martin McDonagh had already proved himself to be one of the great writer/directors working and a master of the dark crime dramedy. And now Three Billboards Outside Ebbing, Missouri further confirms it. Frances McDormand plays a woman relentless to find her daughter's killer. 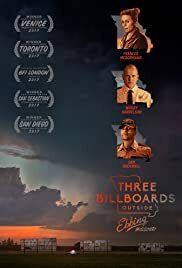 And since she believes the local police aren't doing they're fair share, she decides to rent three billboards accusing the local police chief (Woody Harrelson) of such. Sam Rockwell and Peter Dinklage also costar. 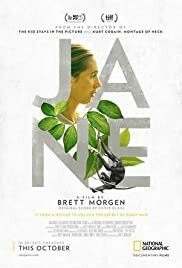 Great dialogue and unexpected character arcs are abound, and this movie is likely to get some recognition come awards time. So see it now and be ahead of the game. Who is this movie for? 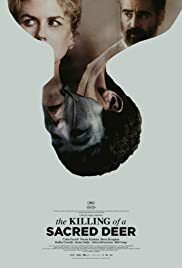 If you like dark crime comedy/dramas for mature audiences, mixed with some profanity and violence, and great dialogue, a superb cast, and interesting character arcs, this is the film I recommend you see this weekend. You've probably heard some bad buzz already. Well I'm going to pile on a bit. Unfortunately this movie is about as bad as the buzz. I'm not always in synch with the critical mass, but I'm right there with everyone on the DC cinematic universe. It's just not working out. At this point I think it's quite clear that director Zack Snyder is the problem and should have been replaced already after Batman v Superman: Dawn of Justice was pummeled by bad reviews. I can't understand why Warner Brothers has remained so loyal to him with such an important franchise. Fortunately this one isn't as bad as that. But it's also not as good as Wonder Woman. I would pass. Who is this movie for? I would pass. There are too many better options in theaters. Go see Thor: Ragnarok if you haven't seen it yet. Or if you have, just see it again. It's way more fun. Up until now indie fave Greta Gerwig was known almost exclusively for her acting in films like 20th Century Women, Frances Ha, Lola Versus, Mistress America, Damsels in Distress, and Greenberg. Those titles may mean nothing to you. But to a certain audience, they mean everything. 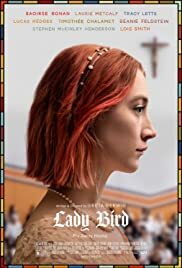 And that audience will eat up this film that Gerwig wrote and directed, and stars Saoirse Ronan (Brooklyn). It's a sweet, likeable coming of age story. Nothing we haven't seen before, but it's honest and enjoyable. I'm not quite as in love with it as other critics, but I'm definitely in serious like with it. Who is this movie for? If you think you want to see it, you'll probably enjoy it. The audience that knows Gerwig and Ronan is the audience that will best appreciate it. 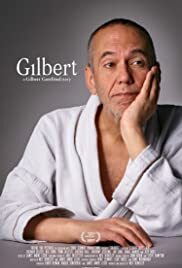 Gilbert Gottfried is certainly a divisive comedian. There are many who love him and many others who can't stand him. Maybe it's his screechy, loud delivery. Or for some it's his filthy humor. But whatever your feeling, you'll just have to take my word on this: this documentary is the best and most delightful film of 2017. I've seen it twice now and both times I can't believe how funny it is, but more surprisingly how poignant it is. You get to see the sides of Gilbert that he hasn't shown before. I love him. I love his wife. I love his adorable kids. And I love this movie. And I think you will too. Who is this movie for? Well it's not for kids. There are lots of dirty (and hilarious) jokes in here. But if you're not offended by crass humor, then you should give this one a chance. It's available in limited release in theaters and also on Video on Demand. By now, you're probably like most people who are suffering from comic book movie fatigue. Well you may have already heard the rumors and, if so, I can confirm them. 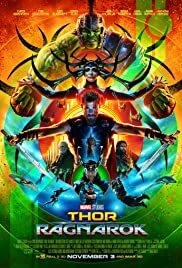 Thor: Ragnarok is one of the best Marvel films to date. Chris Hemsworth and director Taika Waititi did a really great job of shaking things up to make this one feel fresher, way funnier, and way more fun than the two prior Thor entries in the Marvel cinematic universe. With plenty of great cast additions, like Jeff Goldblum, Cate Blanchett and Karl Urban, as well as many returning favorites including Mark Ruffalo, Anthony Hopkins, Tom Hiddleston, and Benedict Cumberbatch, this film is chock full of great performances and lots of comedy. In fact, there's probably more comedy than action, and this may be one of the funniest films of the year. Who is this movie for? 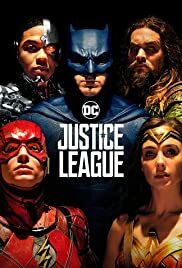 If you're at all into comic book films, going out to see this one is a no-brainer. And even if you're not, you might enjoy it more than you may think. If the name Yorgos Lanthimos means anything to you then you're my kind of people. If you're not familiar, he's the writer/director responsible for such creatively and delightfully weird and dark films as The Lobster and Dogtooth. If you are familiar with either or both, you'll kind of get the idea of what to expect. Expect the unexpected. In fact, this film is so hard to describe that it's been fun to see stars Nicole Kidman and Colin Farrell do the talk show circuit, unable to even say what it's about. That may sound like it's unaccessible or too artsy-fartsy, but it's really not. It's just got its own unique tone and rhythm, and you never at any time know where it's going. I will only say that I found it thoroughly engaging and suspenseful, though quite dark and disturbing. So you be the judge if that sounds like your jam. Who is this movie for? If you dug The Lobster or you like creative and original filmmakers like Charlie Kaufman, then by all means give it a go. I loved it, but its not for the faint of heart. Who is this movie for? Originally I suspected it would only be for lovers of Animal Planet and Planet Earth and all those nature shows. I rarely watch that stuff, but I was captivated by this doc. Go see it.